HOW CAN I MAKE MONEY DAY TRADING? How much money can you make day trading? Great question. Day traders are not required to disclose their trading results to anyone but the IRS and because of this it is tricky to come up with an average of how much you can make. There are many strategies in trading. This, along with how much capitol traders are working with, must be taken into account. In their 2011 research paper “The Behavior of Individual Investors,” Professors Brad M. Barner and Terrance Odean at University of California, Berkeley discuss how those who traded without diversified portfolios usually saw an average loss of money. There are also fees with transactions, so it is really important to have that proper education before attempting to make money during day trading. HOW CAN I MAKE MORE THAN I LOSE? The best way to assure that you are making money day trading and not losing money is to set stop/loss points as well as profit taking points. It’s important to not make too much of a gamble for an individual trade. The goal is to never allow one bad trade to ruin out your account. Many full time day traders suggest that to make money day trading you should not risk more that 1% per trade. Therefore, if you are looking at an account with $30,000 in it, the most you should be risking on a single trade would be $300. Using this 1% strategy will lessen your losses. This takes practice and discipline and will help you to make more money day trading. Let’s expound on the above example to see what setting stop/loss points looks like. If we stick with a $30,000 account, We are able to risk a maximum of $300 for a single trade. Let’s say the stop/loss is $0.04 and if the share price below $16 ($120,000 buying power/7,500 shares). With this, we can take 7,500 ($300/$0.04) shares per trade to and stay within our $300 allowed. Keep in mind this does not include Broker commissions. It would be wise to first ask yourself what you want from Day Trading. What kind of time are you willing to put in? Using a Broker is a wise route if you and unexperienced, but they do take a commission which will cut into your net profit. They are a more secure route, but even with a broker we don’t suggest looking at day trading like a hobby. Day trading takes some serious discipline and training. The strategies are not 100% and there is always a risk. There is no guarantee that you will make money day trading or be able to predict your average rate of return over any period of time. There are, however, some solid strategies. Mastering these will help you make that extra money you’ve been dreaming of. Contact us at DayTradeFeed If you are ready to commit to learning the strategies that can lead to success in making money day trading. Our personal Coaches can answer whatever questions you may have. First of all, let me apologize for the delay in posting my Day Trading results. The month has been pretty busy for me with some vacations and business ventures (all funded by day trading, of course) but I’m excited to get back into the swing of things. It was a decent month for me. Not my best month, but also not my most traded. 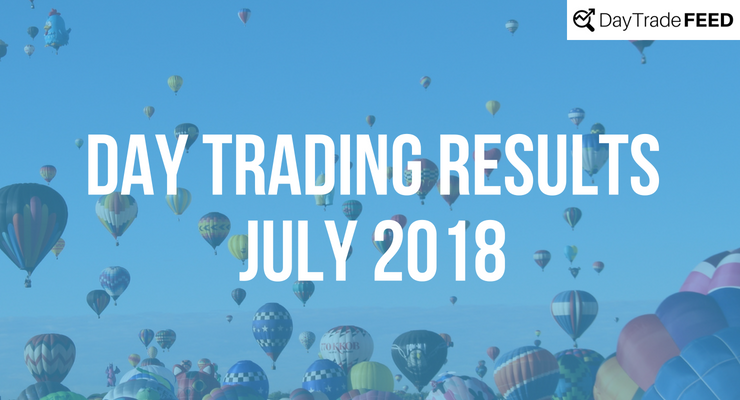 In the coming months I should have more time to devote to trading and will make sure to get these results out a little more quickly than in the past! Placing these Overnight Impact Day Trades, Sunday Afternoon Day Trades or regular day-to-day trades would have made you $150 during the month. Placing these Overnight Impact Day Trades, Sunday Afternoon Day Trades or regular day-to-day trades would have made you $300 during the month. Placing these Overnight Impact Day Trades, Sunday Afternoon Day Trades or regular day-to-day trades would have made you $450 during the month. Placing these Overnight Impact Day Trades, Sunday Afternoon Day Trades or regular day-to-day trades would have made you $600 in the month. Placing these Overnight Impact Day Trades, Sunday Afternoon Day Trades or regular day-to-day trades would have made you $750 in the month. Placing these Overnight Impact Day Trades, Sunday Afternoon Day Trades or regular day-to-day trades would have made you $900 in the month. Placing these Overnight Impact Day Trades, Sunday Afternoon Day Trades or regular day-to-day trades would have made you $1050 in the month. What would you do with an extra $1,050 each month? 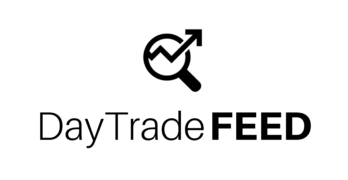 Want to be notified when we post our day trading results? Why Black Box or Robot Trading systems can be attractive. These automatic trading systems can be connected to Americans and the type of people they are becoming as a whole. When it comes to investing, the obvious, perfect choice would include little risk, almost no required effort and high returns. Unfortunately, this perfect system doesn’t exist in today’s market. If you come across something or someone promising this type of return, it’s likely to hurt all involved. As the world’s technology advances, so does the market’s. Predictions and promises regarding artificial intelligence and its capabilities are a dime a dozen. This is perhaps why “Black Box” or “Robot Trading” is rapidly becoming the most popular form of trading. The playing field is leveled, even for Black Box or Robot Trading systems. In 2008, the S&P 500 hit record lows. Due to these lows, just about every automated system in existence became completely irrelevant. This was obviously a difficult time for many. However, in the overall scheme of things, times couldn’t be more exciting. Why? Because the playing field had once again become level. Trading floors, stock advisors and day traders alike were forced to reevaluate their trading systems. Those who were depending on automated systems quickly learned how difficult it was for these robots to adapt to new market conditions. The worst part? It all should have been expected, as the markets were showing patterns no one had ever seen before. The industry had changed forever. What else makes Black Box or Robot Trading systems unreliable? Most creators of these systems include very little live testing in their development. Some even go out of their way to avoid it. What does this mean? Unfortunately, it means these systems are created using old data and past results. While this makes them look more attractive to potential clients, it’s very detrimental in the long run. It’s easy to make a system based on old data look profitable. A few tweaks can make a world of difference. However, the 2008 market change we just discussed forced computers to begin adapting at an exponential rate. So how do Black Box or Robot Trading systems keep up? Honestly, we’re yet to find one of these systems capable of adapting at the necessary rate. Option B – The system loses so much money so quickly that it’s impossible to halt before zeroing out. When you hear of a trading system attached to the terms Black Box or Robot Trading, think of it like you would a wolf in sheep’s clothing. For example, someone running a ponzi scheme could easily promote it as this type of automated trading system. Why? We just went over it. Profitable systems based on back tested data are incredibly easy to falsify and recreate. I recently heard of a man who claimed to run an automated, robotic trading system. However, he was actually trading the money himself. Why would he do this? Because of what Americans are becoming as a people. Consumers seem to flock to these systems because they promise little risk and high reward. But true traders know their own system is more reliable. Please understand that I’m not saying a legitimate Black Box or Robot Trading system can’t exist. But if it does, chances are it’s too expensive for any single trader to use. In conclusion, beware of Black Box or Robot Trading systems! When you come across these systems, see what the long term plan is. Make sure you’re not being used to test a faulty system before it’s sold to trading floors, institutions or wealthy private investors. Find Day Trading Information Through DayTradeFEED.com! This article is the final part in a series aimed at helping day traders understand what mistakes to avoid. Subscribe below to be notified of future posts. This may sound obvious, but when a trader doesn’t trade, they don’t make any money. What you may not think about is the fact that their broker doesn’t make any money, either. The best, most successful trading systems are usually accompanied with an incredible relationship with a broker. These relationships are key indicators of how successful a system can be. If the relationship is strong, it usually means the broker is happy. If the broker is happy, it usually means the trader is making profitable trades, putting money in the broker’s pocket. While the above scenario is true in most cases, there are still brokers who will want a relationship with traders regardless of how many trades they make. They’ll even go as far as making sure to portray inactive traders in a positive light and offer low rates in an attempt to gain client referrals. When researching a system, there are specific things to look for to determine credibility. For instance, some educators make more money charging you as an Introducing Broker as opposed to monthly fees. Most brokers set aside a certain amount of money for these Introducing Brokers, who in turn, are registered to profit from client referrals. The biggest problem with this scenario is that many of these educators have relationships with brokers who pay the most for referrals, instead of brokers who will best meet the needs of clients. Experience in this area has shown it can be a double-edged sword. One way to recognize an Introducing Broker system is to determine how conservative they are in their marketing. Everything these individuals do is monitored and regulated, so the more conservative, the more likely. In contrast, educators who aren’t Introducing Brokers will usually identify the best places to trade because they have no incentive to lead you elsewhere. Books, videos and seminars which offer full courses on trading tips and techniques are a very common education tools. Unfortunately, a lot of these resources fail to reference the steps necessary for setting up a broker account. Additionally, it may surprise you that even some of the largest trading platforms on the planet don’t offer phone or email support. If you’re researching a system and the educator doesn’t provide videos, ongoing support or live help in regards to setting up a broker account, the education likely won’t translate into actual trading. That being said, the industry as a whole is getting better in this regard. Most online brokers now offer support options, but even these don’t typically cover all the bases. Before making any type of payment, make sure you’re getting more than just a generic education. You may find it difficult to locate any type of information on taxes, retirement planning and interest in day trading. Taxes are a big part of trading. Tax implications can be significant for trader, depending on how their account was set up of course. To combat this, many traders set up corporations to trade with. This may or may not be the right step for you. As you’re choosing a system, make sure you have information to help you navigate this. Retirement planning goes hand-in-hand with taxes. There are a lot of ways to integrate your account with Traditional IRAs, ROTH IRAs and other tax beneficial strategic investments. Brokers work with their type of accounts, but often neglect to mention this integration capability. Be aware that most of these accounts require higher minimum balances to start. Find Day Trading Brokers Through DayTradeFEED.com! This article is only part 6.5 in a series aimed at helping day traders understand what mistakes to avoid. Make money day trading. Don’t kill profitability with a lack of funds. Some systems claim to see the same results regardless of liquidity or which market is being traded, but the only way for this to be true is for the trader to have a significant account funded from the beginning. The truth is that profits are capped by these two principles in every market. On one hand, Forex market caps are traded in billions of dollars. In contrast, traders being capping out at around $5,000 in futures markets. How to make money day trading, even with Forex caps. Around $3 trillion is exchanged in Forex markets on a daily basis. Because of this, many traders will never have to worry about caps in terms of profitability. However, minimums balances do still exist, albeit usually at a relatively low rate. Many brokers offer what is called a “micro account.” These allow traders to open a trading account for as little as five dollars. These offers usually charge more in spreads, but make trading available to just about anybody. Typically, brokers prefer a normal account to start around $500. These accounts offer lower pip spreads, but keep in mind that profits are taken at the beginning by setting you however many pips behind your entry to pay the spread difference. How to make money day trading, even with Futures caps. The Futures market isn’t for everyone due to a required minimum standard balance set by the Commodity Futures Trading Commission (CFTC). First, it’s important to remember that most brokers will not allow you to open an account with less than $5,000. In addition, contract margins can vary from $500 to $6,000 per contract traded. These parameters are set to prevent losses that traders aren’t able to cover. “Slippage” is defined as a change in price which occurs due to a lack of participant reaction instead of an abundance of it. When these markets slip and there isn’t enough traders participating, your trade must wait until the prices moves far enough to pull you out completely. In turn, this can result in huge losses and/or little profit. Conclusion: how to make money day trading. In conclusion, while Futures markets remain a great place to trade, please make sure you have the correct knowledge and experience to correctly navigate the practice. A good place to start is to make sure you know about specific trade times and overnight margin requirements. The best type of educator of trading system will already have direction on which market fits your individual financial situation and the leverage at which you should be trading. How to make money day trading with DayTradeFEED.com! This article is only part five in a series aimed at helping day traders understand what mistakes to avoid.